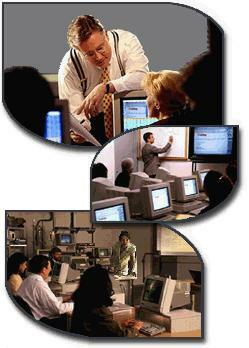 We have been providing Computer Training and Consulting Services since 1981. You can reach us at 508-202-7078. Our primary goal is to meet or exceed the needs and requirements of our clients by providing solutions which immediately improve users' computer productivity. 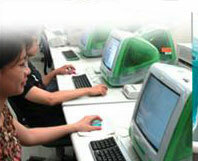 Each student uses their own computer to maximize the hands on training experience. Small class size insures that participants receive individualized attention by our instructors. The learning experience includes a large-screen projection system of the instructor's computer, workbooks, and practice disks. Our Instructors focus on work-specific applications and then communicate concepts in a jargon-free language that participants can understand, course content is frequently customized. Participants learn the concepts behind the key strokes and return to work with the skills they need to be more productive. Well trained professionals produce a significant return on investment on expensive hardware & software by being more knowledgeable and productive. Most software products are presented in a convenient one-day format thus minimizing out-of-work time.
" I learned all of the shortcuts that I couldn't figure out on my own! " " Very informative - went above and beyond what I expected to learn. " " I found everything to be relevant to the work I have been doing. " " It would have taken weeks to learn what I learned in just one day with Dimensions! " " Best class yet! All classes should be as fun and informative. " " I really enjoyed the Introduction class...can't wait to take the Advanced "
Q: What is offered in each class? A: Take a look at our extensive computer course outlines. Q: What if I want a topic that is not listed in the course outline? A: Speak with the Instructor and she/he will be happy to try to cover this topic. Q: Can I bring files to class that I need help with? Q: How long has Dimensions In Productivity been in business? A: Dimensions In Productivity has been in business since 1981. Q: When does class begin and end? A: Typically, group classes are from 9am to noon and 1pm to 4pm. A:One-on-one training (private lesson) is scheduled at the mutual convenience of the student and instructor. Q: Will I get to use my own computer in class? A: At Dimensions In Productivity's classroom, yes. Q: Will I receive a diploma after class? Q: Will I be tested? Q: What if my skill level is "in-between" two classes? (i.e. I am too advanced for the Intro class, but not ready for the Advanced class)? A: Then you can have a custom class of "in-between" topics. Q: My company can't take time away from work for full-day classes? A: Your company can split full-day classes over two half days. Q: My company uses special templates. Can you teach us how to use them? A: Yes! We are experts in this area. Q: My company has PC and Macintosh users. Can you train both? we can teach the same class on both platforms simultaneously. Q: My company needs training, but we are not sure what levels of courses are needed. A: We have pre-class surveys that you can fill out to help determine your skill level. Q: Are your classes lead by an instructor with their own computer? A: Yes, and the instructor's computer screen projects onto the wall.